Outside Magazine named Little Rock one of it’s Best Towns of 2013. The magazine cites the Arkansas River Trail System (my personal favorite), a strong aerospace industry, stable economy, farmer’s markets, jazz concerts and Pinnacle Mountain as reasons for the choice. Growing up, Little Rock was the place we went when we needed “big” items. You had to travel up to the big city to get your appliances, computers, etc. I enjoyed the trips to Little Rock, but never really got to experience the city like I have the past several years. I don’t live in the city, but I feel like I spend more time in Little Rock than I do Conway because of work. I’m a big fan of Little Rock. It’s stunning how many great restaurants there are in town, especially considering it’s a relatively small city. Central Arkansas has been home for me most of my life, and I dig it. I wouldn’t have come back here if I didn’t like it here. I’m glad folks are starting to realize some of the opportunities we’ve got to offer here in the Natural State. Too bad, though, that Outside used an old photo of what is now the Clinton Presidential Park Bridge. 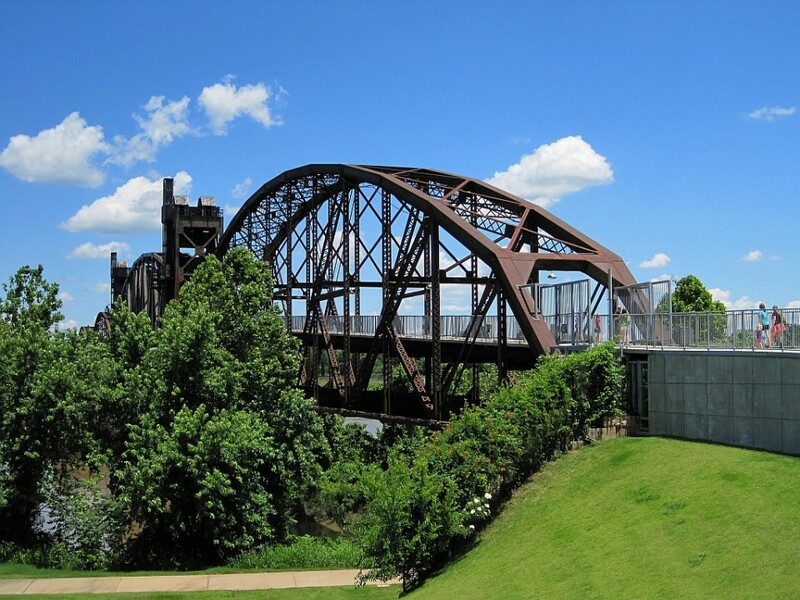 It’s an old railroad bridge that was converted into a pedestrian bridge a couple years ago. The photo they used is obviously before the conversion was made. The photo above is what it looks like these days. Check out Outside’s blurb on Little Rock here. Check out the rest of their Best Towns here.